The fact is, we need stress, the positive, the healthy and the right kind of stress. Current studies show us that it can give us a sort of invigoration, “super powers” which can help make us happier and more self-confident, but the challenge is to develop appropriate inner attitudes towards stress. 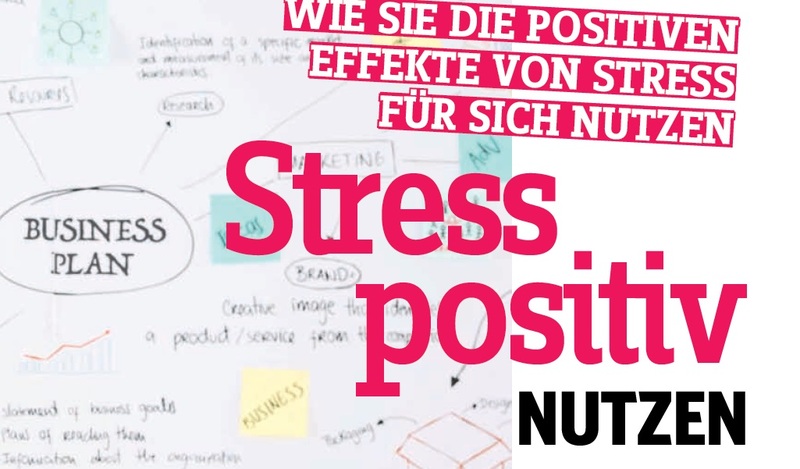 Indeed “positive stress” gives us energy, enabling the mastery and solution of problems and crises, driving us to go beyond ourselves and to grow. It can give our lives direction, aiding us to seize responsibility for our personal success. Because stress, in our modern world, is inevitable, the challenge is to learn how to manage, even enjoy stress. Personal happiness, work productivity, our ultimate success in life, it all depends on our response to these modern challenges. Researchers have now found that the mortality risk is higher for those who believe stress to be unhealthy. Those who recognize stress as an additional inner drive and motivation for new challenges face demonstrably better prospects. In the article in Healthy&Fit you will find tips and exercises put together by Andrea Ristl.